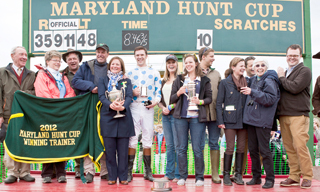 It was the Monday before the 2010 Maryland Hunt Cup. Amateur jump jockey and recent Towson University graduate James Stierhoff had a busy spring race season, culminating with back to back races that weekend. Now he was in bed, sick with the flu. Mondays are closing day for entries for races. 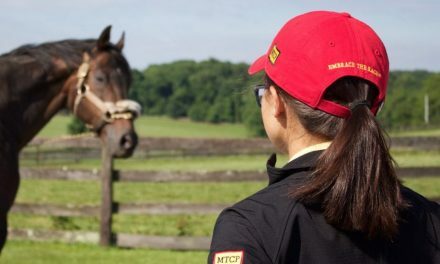 Monday mornings, in general, are a busy day for trainers, as they evaluate the situations of horses and available jocks after a busy race weekend. Hunt Cup entries were due by 11 a.m. It was the Monday before the Hunt Cup, when James, sick in bed, received the call that would change his racing career: Billy Meister wanted to know if he would he be willing to ride a horse for him in the Hunt Cup? James had never ridden in the Hunt Cup. Although he had been riding timber races since 2006, he had not yet had the privilege to ride in the Hunt Cup. Established in 1894, the Maryland Hunt Cup is the world’s biggest and most prestigious timber race. The granddaddy of timber races. Billy wanted to know: did James want the ride aboard Twill Do in the 2010 Maryland Hunt Cup? The horse had finished fourth the weekend prior in the Grand National with Billy in the irons, but a fall in the next race had left Billy with a broken hip and Twill Do with no rider. This would be Twill Do’s first Hunt Cup. On Tuesday, still sick, James climbed aboard Twill Do for the first time. “We had a short school. Only two jumps. I was on him for maybe twenty minutes tops but Billy said that would do.” For the remainder of the week, James rested. On Saturday, James weighed out for his first Maryland Hunt Cup. Across The Sky had a commanding lead throughout most of the race. James worked Twill Do forward jump by jump. Then at the 20th, Across The Sky refused. “I remember thinking, ‘what is going on?’ and then got neck-and-neck with Private Attack going into the 20th.” James and Twill Do got a little ahead of Private Attack, who had gone on to win the Hunt Cup in 2011, as they landed the 20th. “And then [Twill Do] just flew the last jump. Perfect jump,” he said, smiling. As the pair crossed the finish line, many– including James–were stunned. “It took a minute or two to set in. I didn’t grow up watching races but I knew winning that race was the biggest deal of anything I could have done.” Impressive is probably an appropriate word as the Hunt Cup was James’ first win at a sanctioned race and Twill Do’s Hunt Cup debut. The win clinched the Maryland Steeplechase Association’s 2010 Horse of the Year title for Twill Do. So how does a young race rider go from point-to-points to winning the biggest race in American steeplechasing? Through a lot of homework, riding with some of the best and having the will to win. James grew up just outside of Baltimore city in a non-horse family, playing lacrosse. “When I was nine or ten I wanted to be a cowboy,” he said. With that, James quit lacrosse and started taking lessons during the summer at St. Timothy’s School in Stevenson. One thing led to another and James went up to Vermont one summer during high school to be a working student for eventer and endurance rider Denny Emerson. While at Belmont, James heard that Jay Griswold was in need of an exercise rider. “He gave me my first shot at race riding,” James explained. 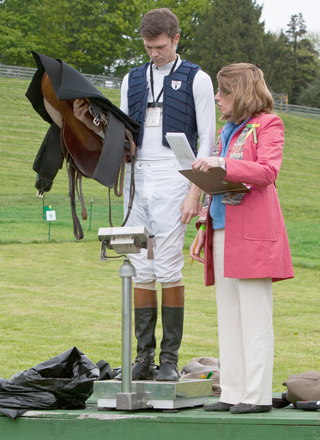 “What makes James so great at race riding is his solid foundation in the eventing world,” Jay stated. “This is very good for timber racing. That’s why he’s such a good Hunt Cup rider.” James’ first race over timber was onboard Jay’s Little Dewey Know, coming in third in the Novice Timber at the 2006 Howard County Cup Races. “And he just got better and better after that!” Jay explained. After Howard County, James rode Native Mark, also for Jay, to a fourth place finish in the Heavyweight Timber at the Green Spring Valley Point-to-Point a week later. With Little Dewey Know, he finished third again at the Elkridge-Harford Hunt Point-to-Point. All in all, James rode in 22 races during his first season of steeplechasing, and another 16 in his second season. Little Dewey Knew and Native Mark were regular mounts his first two years, but not the only ones. More horses and more wins. But no invitation to ride yet in the Hunt Cup. Until Monday, April 19, 2010. Foaled in 2000, Lucy Goelet acquired the Maryland-bred (Dr. & Mrs. Thomas Bowman) Twill Do as a three-year-old, immediately putting him in training with Billy Meister. By Yarrow Brae and out of A Little Wild (by Wild Again), Twill Do’s little half-brother Foyle (2005) also turned out to be a timber champ, winning both the International Gold Cup and Pennsylvania Hunt Cup in 2013 and earning the MSA and National Steeplechase Association’s Horse of the Year. James describes Twill Do as always being relaxed on race day… here he is scratching his head on the first fence at the 2014 Maryland Hunt Cup. At five, Twill Do entered in his first timber race, the Novice Timber at the 2005 Elkridge-Harford Hunt Point-to-Point, finishing third with Billy on board. A few weeks later, the duo won the Novice Timber at Plumstead Farm Races and then finished second in a large field at the Winterthur Point-to-Point. In 2006, the dark bay gelding raced three times and won once, the Heavyweight Timber at Plumstead. No wins came in 2007 but then in 2008, he won again, this time in the Heavyweight Timber at Brandywine Hills Point-to-Point. That year, Billy began asking other riders to take the reins, including Billy Santoro, Matt McCarron, Jake Chalfin and James Slater. Twill Do also crossed over into the show hunter world, winning several ribbons with Erica Gaertner on board. 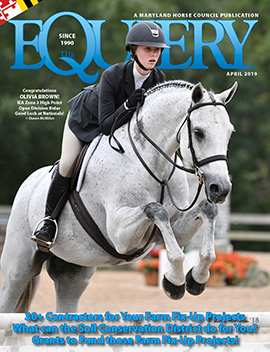 “He is a very attractive horse with a very correct jump so he does well in the show ring, too,” James said. In 2010, Billy reclaimed the reins for Twill Do. Leading up to that first Hunt Cup, the pair finished third in the Open Timber at Brandywine and fourth in the Grand National Steeplechase. Then Billy suffered that bad break from falling off another horse. James and Twill Do started out the 2012 season with a fifth place finish in the Open Timber at Brandywine. Next was a fourth at the Grand National leading up to the Hunt Cup. After skipping the 2011 Maryland Hunt Cup due to an injury, Twill Do won again with James in the irons in 2012. “Winning the Hunt Cup again proved that the first time wasn’t a fluke,” James said, smiling. In 2013 and 2014, Twill Do made his way around the big Hunt Cup course, again with James as his partner. They finished fourth both years. “To have completed the Hunt Cup that many times and won twice is remarkable,” Lucy said. “It was soft going those last two times. He doesn’t like the softer footing. Both times he won the ground was rock hard,” James explained. And now with the 2015 season about to start, things in the Twill Do camp are buzzing–though there is no official word as to what about they are specifically buzzing. The Maryland Steeplechase Association annually presents the Hurdy Gurdy Perpetual Trophy, which was donated by the Gould Family, the Howard County-Iron Bridge Hounds and The Equiery, to a foxhunter/amateur race rider and horse combination that exhibit the same kind of spirit as Kingdon Gould, Jr. and Hurdy Gurdy. Full time lawyer and part time gentleman jockey Kingdon and his scrappy horse Hurdy Gurdy took on the best of the best in the steeplechase world at that time, including horses Jay Trump and Mountain Dew. They won some and lost some, but kept coming back because of the pure love of the sport and the partnership they formed, earning respect by all. “I feel incredibly spoiled to get to ride him,” James stated after jumping Twill Do around the Maryland Hunt Cup for the fourth time. Thankfully, “what ifs” are only speculations. The facts are that this lacrosse-playing kid/financial analyst adult and this horse tackled the biggest timber race in world. And won it. Twice.